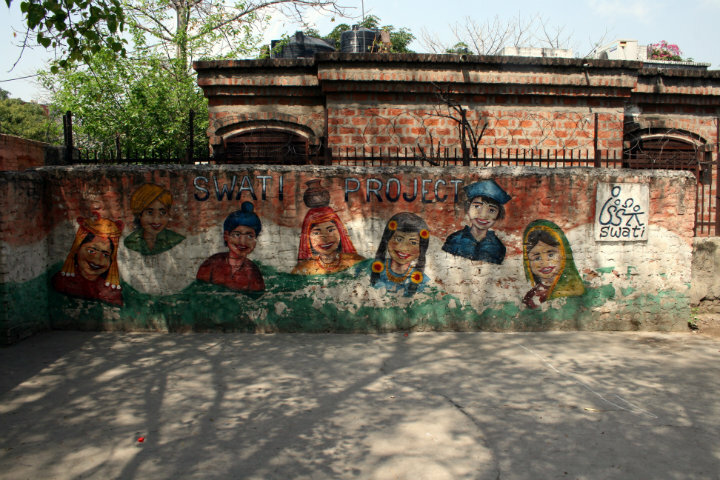 Swati houses a technical education program, a skills academy, and a community center in the slums of New Delhi. Children at the Swati center. The access to education and skills that this program provides offers them an opportunity to create a future outside of poverty. Children learn computer skills at the Swati center. We supported the purchase of these computers in order to improve educational access. Children studying English at the Swati Center. These English lessons will allow them to pursue a greater number of opportunities in the future. 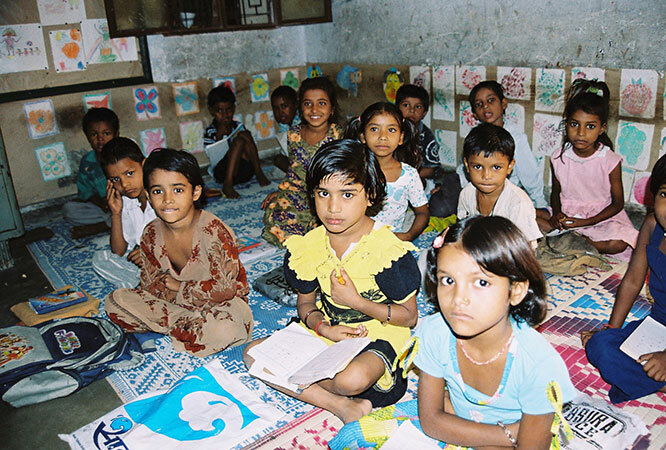 Swati Kanak Durga Center, prior to TFI, were primarily a day school for young children. At the same time, Swati offered the older kids and young adults Computer and English Language classes. In 2009, TFI donated shoes, clothes, toys, and medical supplies to the Swati Center. Now, access to primary education in India has improved and the perceived value of education has grown in remote communities. At the start of 2015, more young children enrolled in government schools than ever before, especially girls. Regardless, to keep up with the evolving needs of their community, Swati is changing their focus from traditional academics to after-school supplemental programs. TFI will follow their progress during this transition. To donate specifically to the Swati Kanak Durga Center, write “Swati” in the comments section.